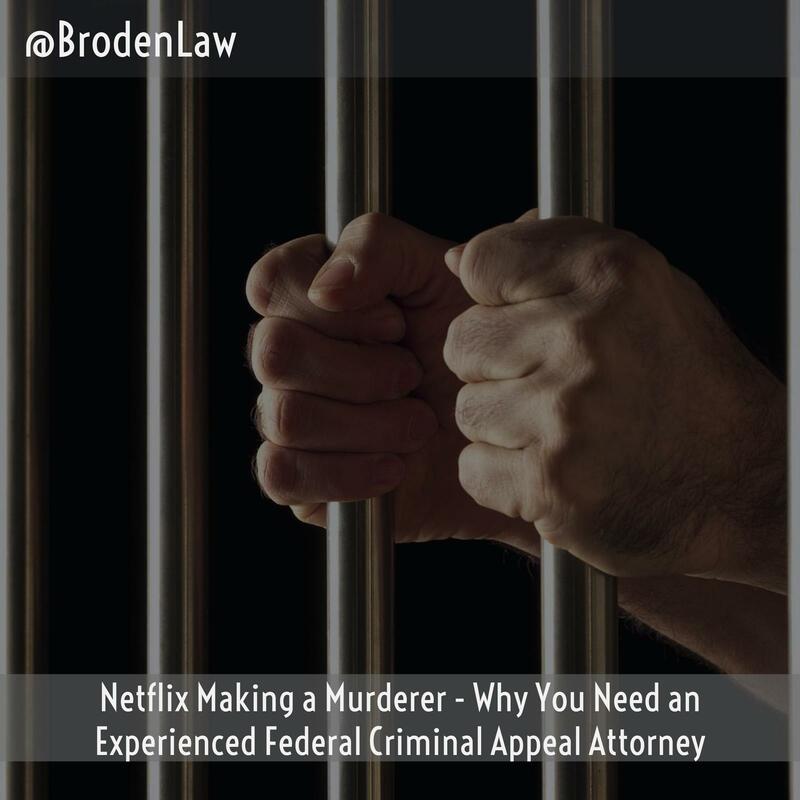 Leading Lawyer Mick Mickelsen Explains Why experience matter in Federal Criminal defense cases if you have been watching Netflix Making a Murderer! When you’re a criminal defendant, it’s normal to feel frightened about the outcome of your case. In a federal criminal appeal, however, the stakes are much higher. You’re asking the appellate court to overturn the lower court’s decision. It takes a skilled and experienced federal criminal appeal lawyer to convince the appeals court that the lower court’s decision was incorrect says Mick Mickelsen a leading Federal Criminal Appeal Attorney. If you have Netflix, you may have been captivated by the recent series Making a Murderer. The show has followed the twists and turns of the criminal convictions and appeals of two men accused of sexually assaulting and murdering a woman in Wisconsin. In June 2017, a federal appeals court affirmed a lower court ruling overturning one of the men’s murder conviction. What Does It Mean When a Federal Court Affirms a Lower Court? Although an appeal can be like a second chance, the court doesn’t start the trial at the beginning and replay every step. Instead, the federal criminal appeals court only considers the parts of the case the appealing party claims the lower court got wrong. In some cases, it’s a specific piece of evidence the appealing party feels should have been excluded. In other cases, it might be the sentencing handed down by the lower court. For one of the defendants in the Making a Murderer series, the federal criminal appeal court was asked to uphold the lower court’s decision to overturn his criminal conviction for sexual assault and murder. At the time of the alleged crime, which took place in 2005, the defendant was just 16 years old. He confessed to the crime when investigators questioned him, however, his federal criminal appeals lawyers have argued that a variety of factors, including his intellectual disabilities, led him to make a false confession. In 2016, a federal judge held that the defendant’s confession was involuntary. The federal criminal appeal court agreed, calling the confession a produce of coercion through fact-feeding, false promises, manipulation, and leading questions. According to an NPR report, the state of Wisconsin can choose to appeal the case to the U.S. Supreme Court. Alternatively, the state could decide to try the defendant again in a new trial. If you’ve been convicted of a crime in federal court, you have the right to appeal your conviction. An experienced Texas federal criminal appeal lawyer can help.